Are you an Industry Supplier? 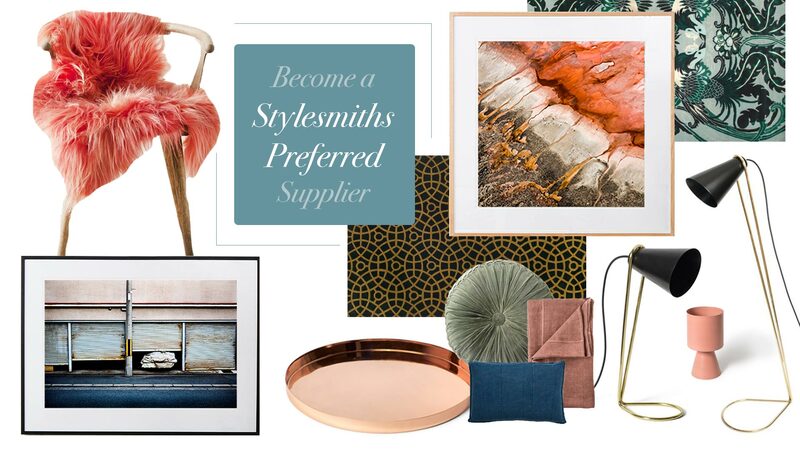 The Stylesmiths is an Australian Interior Design and Decoration business changing the interior design industry by delivering projects different, and we’re looking for trade suppliers to add to our preferred supplier list (library). You can become a referred supplier in your region (if applicable) and nationally when our Stylesmiths designers are providing options to our clients. Our clients are always introduced to new suppliers with each project, and with our preferred list of suppliers, that’s the first place our designers go to! We’re looking to build valuable supplier relationships, trusted by our designers and clients with excellent communication: we also have an in-house Procurement department that will make this connection strong! Our trade suppliers are at the core of our specifications so we can offer the best in the Australian industry with products such as: furniture, lighting, tiling, timbers, paints and many more. If you’re a supplier who would be interested in joining our Stylesmiths team, contact us today! What are you waiting for? Become a Stylesmiths Preferred Supplier today!